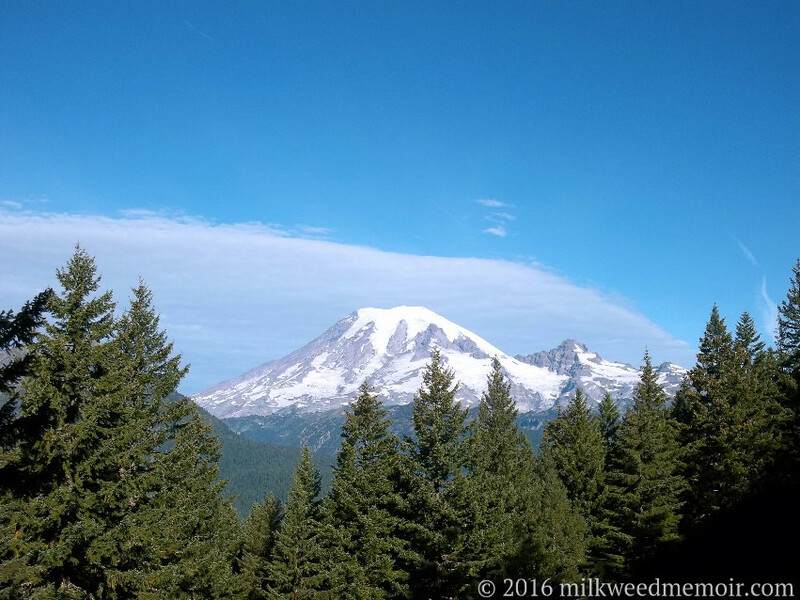 Mount Rainier, aka Mount Tacoma, as seen from the US 12 pass on Coal Creek Mountain, more than 15 miles away. I call it "Tacoma-San." 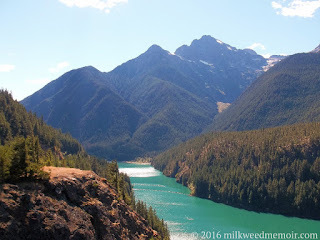 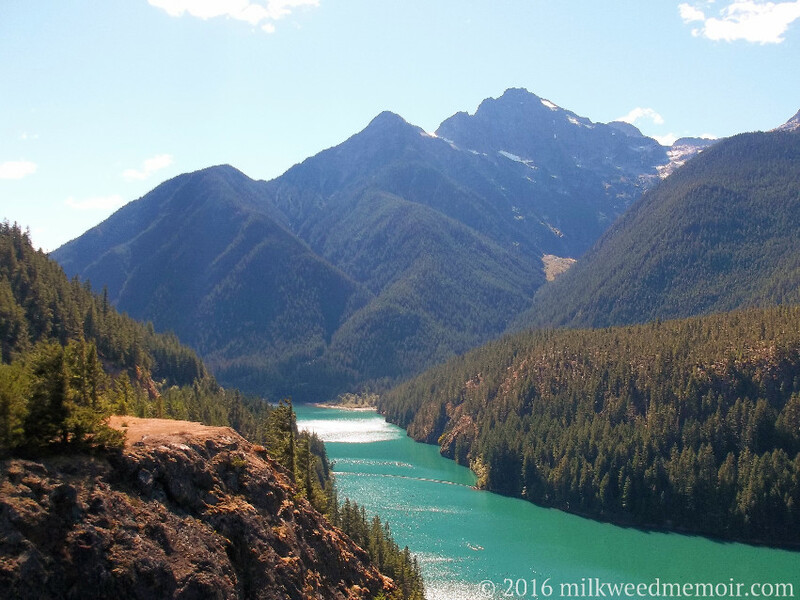 Looking roughly south, this small piece of Diablo Lake in North Cascades National Park is green because of glacier-ground rock particles suspended in the water, much like rivers in the Canadian Rockies.